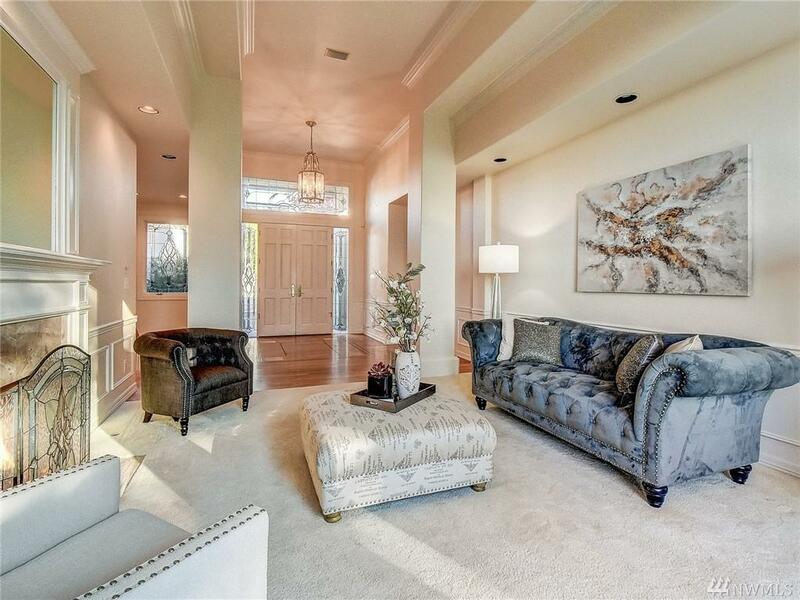 Welcome home to this exquisite 5,250 sq. 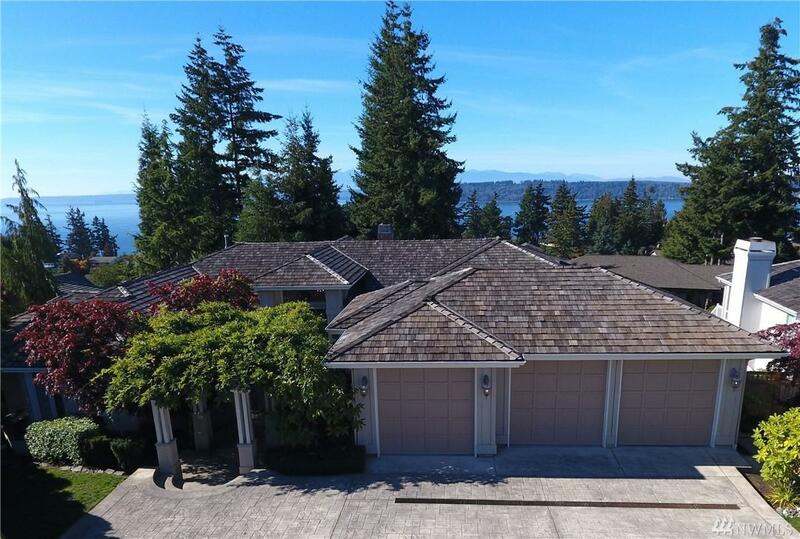 ft. estate with Puget Sound and Olympic Mountain views. 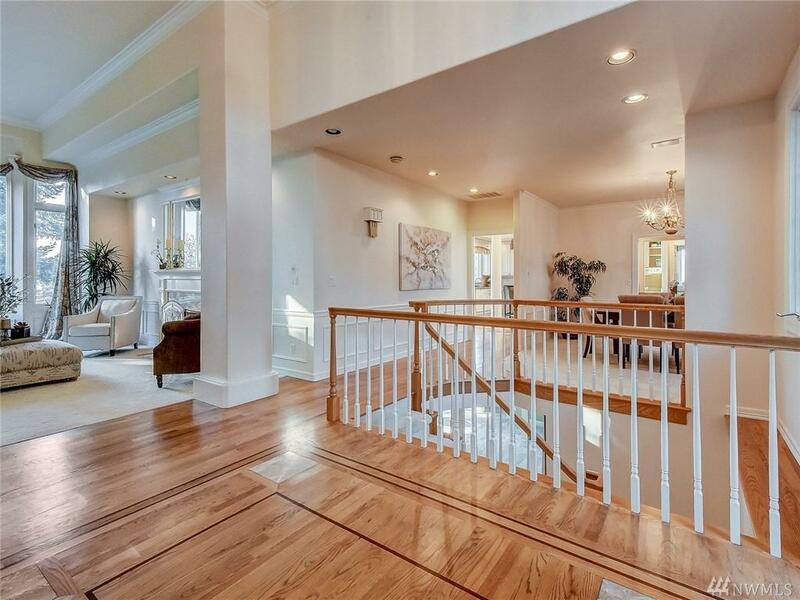 The grand foyer leads to luxurious open concept living. The ceilings are tall, the rooms grand & views tranquil. The home is an entertainer's dream from the stunning Chef's kitchen sporting a 6 burner Viking Range, a wine bar with Sub-Zero wine fridge to the beautiful family room with fireplace and built-ins. 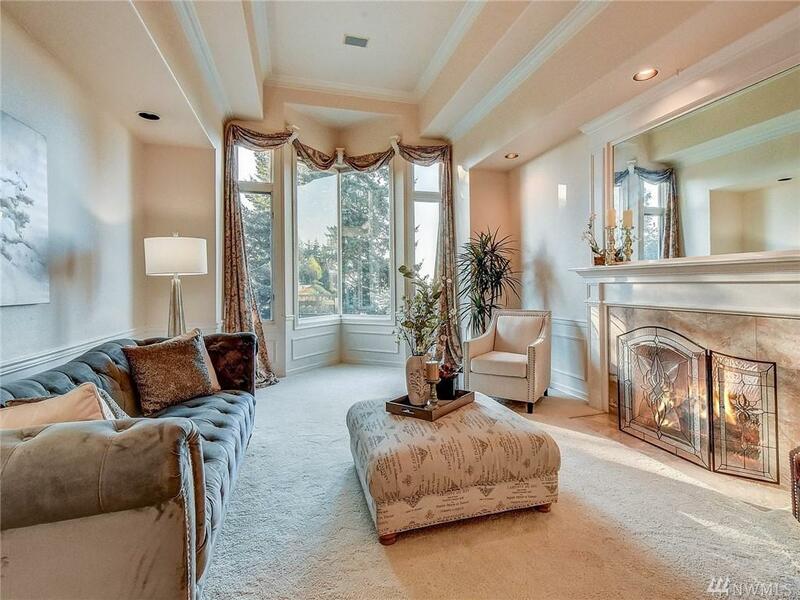 Elegant 5-piece main floor master and grand home office with fireplace.